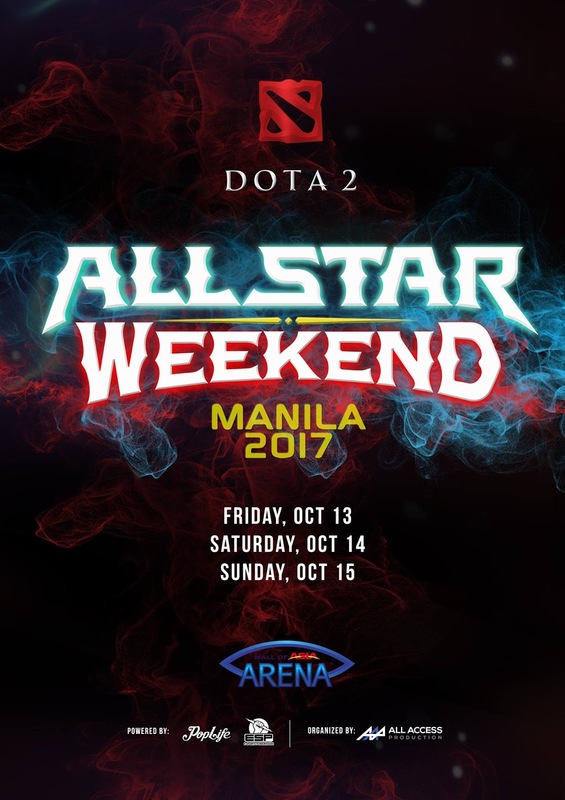 Manila has been selected to host DOTA ALL STAR WEEKEND. The Manila Invitational will take place on Friday, October 13th to Sunday, October 15th at the Mall of Asia Arena. "Manila is fast becoming a world class destination for sports and entertainment, and we are very appreciative that the city is hosting the Dota @ All Star festivities'" said Moritz Zimmerman, who produced the very first Dota 2 International that has evolved to become the tournament with the most pize money in all of eSports with over 21 million dollars awarded this August at TI7. The #1 eSports game is coming to the Philippines also as part of the filming of the Hollywood motion picture, "Underdogs Uprising" and will feature 4 TOP DOTA 2 professional teams battling for supremacy. In addition to the invitationals and the filming, the MOA Arena will host the Rising Stars Challenge, 1v1 Challenge, Man vs Machine, Pro-AM Challenge, and the Dota 2 Celebrity Game over the same weekend. This is the first time that the Philippines will host this great event in eSports. A festival of gaming and music, a real first in the world of eSports gaming scene. The weekend will kick-off with international music and local recording artists, dance crews and DJ's with live DOTA 2 action happening on the main stage. DOTA 2 All Star Weekend is a three-day long event made possible by Pop Life Entertainment in association with All Access Productions. Mark your calendar and save the dates. General Admissions tickets go on sale Monday, September 18, 2017, and are first come first served. Reserved and VIP seating will go on sale Monday, September 25, 2017, and will include official DOTA 2 merchandise, so stay tuned! Be a part of eSports history!